Only 120,388 Miles! Delivers 23 Highway MPG and 16 City MPG! 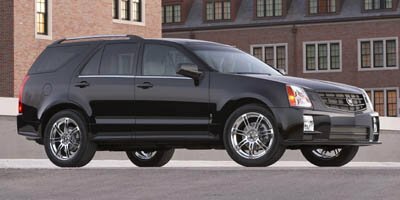 This Cadillac SRX delivers a Gas V6 3.6L/220 engine powering this Automatic transmission. WOOD TRIM PACKAGE, SAPELE POMMELE REAL WOOD TRIM, driver and all passenger doors, center console and instrument panel, WHEELS, 17" X 7.5" (43.2 CM X 19.1 CM) MACHINED-FINISH CAST ALUMINUM (STD), V6 LUXURY COLLECTION, includes (Y40) Luxury Package, (Y44) Premium Seating Package, (CF5) Sunroof, (C57) rear air conditioning and (JF4) power-adjustable pedals. UTILITY PACKAGE, includes (AM0) third row power seats, (V92) Trailering Package, (C57) rear air conditioning, (V08) heavy-duty cooling system and (V12) power steering fluid cooler, TRAILERING PACKAGE, PREMIUM SEATING PACKAGE, includes (KA1) heated driver and front passenger seats, (AL2) driver and front passenger power lumbar control, (AH8) 8-way power front passenger seat adjuster, (A45) Memory Package and (DR2) outside heated power-adjustable and driver-side auto-dimming mirrors, MEMORY PACKAGE, recalls 2 driver "presets", LUXURY PACKAGE, includes (D7E) rear cargo area storage system, (UG1) Universal Home Remote, (B19) Wood Trim Package, (U2S) AM/FM stereo with 6-disc in-dash CD changer, (UJ6) Tire Pressure Monitor and (K14) auto-recirculating air filter , TIRES, P235/65R17 FRONT AND P255/60R17 REAR GOODYEAR, H-RATED, ALL-SEASON, BLACKWALL (STD), SUNROOF, ULTRAVIEW, power glass roof that opens over first and second rows, tilt-sliding with Express-Open and power sunshade, SEATS, FRONT BUCKET, includes 8-way power driver seat adjuster and articulating head restraints (STD), PREFERRED EQUIPMENT GROUP Includes standard equipment, PEDALS, POWER ADJUSTABLE WITH MEMORY FOR ACCELERATOR AND BRAKE. A short visit to Valdosta Nissan located at 3715 Inner Perimeter Rd, Valdosta, GA 31602 can get you a reliable SRX today!